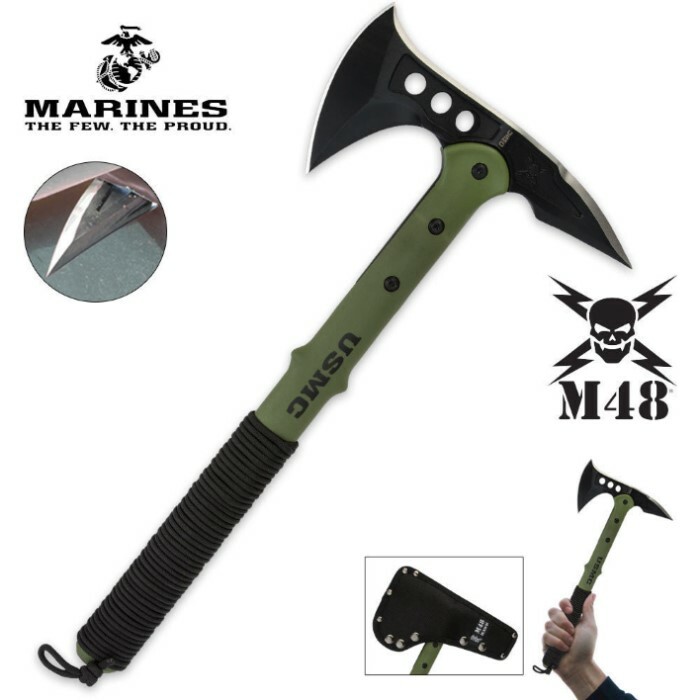 This officially licensed USMC advanced fighting tomahawk may be the ultimate tactical weapon. 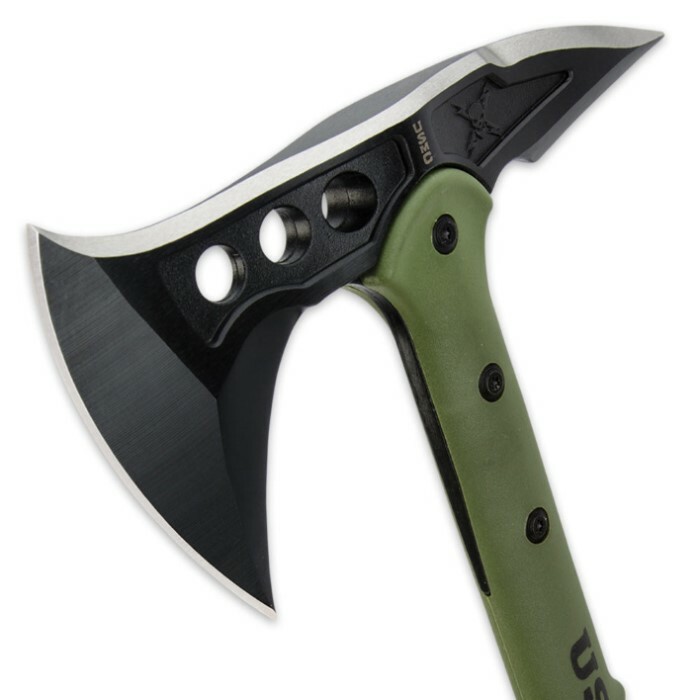 It is lightweight enough to be carried all day without added muscle fatigue and the tough head offers a wide, upswept axe blade for mammoth chopping, slashing and cutting potential. The stainless steel blade is securely attached to the virtually indestructible 30% Fiberglass reinforced nylon handle with three separate bolts. It comes complete with a nylon snap-button sheath. very tough, chop and pick with this and has held up so far. very handy for what use i put it threw..